The FCC ruled 5-0 against the NFL, showing that their stranglehold over government and fans could be coming to an end. In addition, given the fact that owners make billions on television deals, luxury boxes, personalized seat licenses, and public subsidies, the idea that the NFL should still be in a position to decide whether their games get aired is the height of corporate arrogance. It is made even worse, of course, by the fact that unlike in 1976, we the people have paid our own tax dollars toward every single NFL stadium, whether we are fans or not. We also pay exorbitant cable television fees for “free” channels, money that flows towards the NFL coffers. This is a league built on a foundation of public welfare, yet they still want to decide who amongst the public gets to watch. Stunningly, the NFL may be fighting the FCC ruling. Instead of bowing away gracefully and recognizing, as Keith Olbermann, artfully explained, just how achingly anachronistic the ruling is, they could be girding up to figure out someway to keep the blackout rule in place. I spoke to Brian Frederick of the Sports Fan Coalition (full disclosure, I have a seat on the SFC board) who has written an e-book called Upset about the fan-based push against the NFL’s lobbyists that made today a reality. I asked him, if the rule is so irrelevant to the NFL’s bottom line, why exactly they have fought so hard to keep it. He said, “The NFL spent has decades fighting to receive subsidies from the government – from approval of the AFL/NFL merger to its nonprofit status to its precious antitrust exemption for negotiating broadcast contracts. The NFL fears that if it loses this subsidy, all these other subsidies would be subject to greater scrutiny, as they should be. 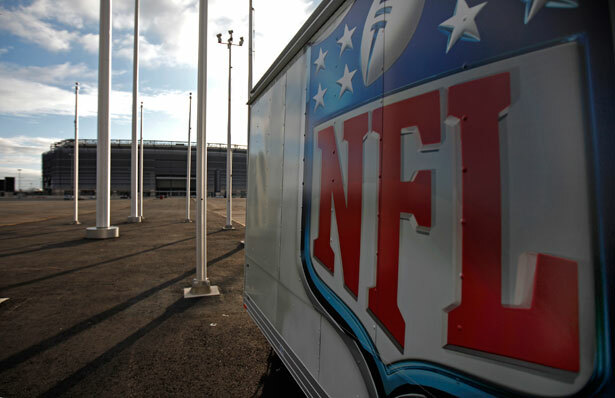 The NFL is simply trying to protect its spoils and quash a rebellion from fed-up fans." The NFL has been able to maintain a relationship of power and dominance over players, fans, and the viewing public for far too long. Their army of twenty-six full-time lobbyists has ensured that the government does not get in the way. Any puncture in their seemingly impenetrable armor, any humbling of their status, any ability to let some oxygen into their room should be seen as very welcome. As Frederick said to me, "For the first time in modern history, an organized group of fans went up against the professional sports leagues and beat them in the public policy arena. The FCC's elimination of its blackout rule is the first step in extricating the government from the business of professional sports. The NFL and the other leagues should be on watch that when they abuse fans and the taxpaying public in the interests of profits, those fans now know how to play defense." It's bigger than blackouts and the fight has finally been joined.